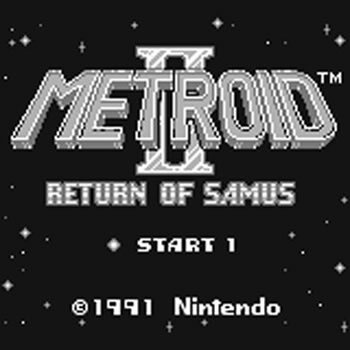 Composed by Ryohji Yoshitomi, the music of Metroid II brought SR388 to life with a unique score through the Game Boy's humble sound system. Here we present a collection of the game's music in crisp 160kbps MP3 format. Pick up each track separately below, or download the whole lot in one convenient package (although not recommended for dial-up users). Download all 19 tracks in one zip (28 mb) - WinZip or 7-Zip required to extract the files.